A pet-friendly Halloween costume that’s simple, sweet and doggone adorable! This Halloween, don’t forget to include your furry friend on the festivities! Your dog will be the hit of the Halloween party with this simple DIY Chick-fil-A Lemonade costume idea. 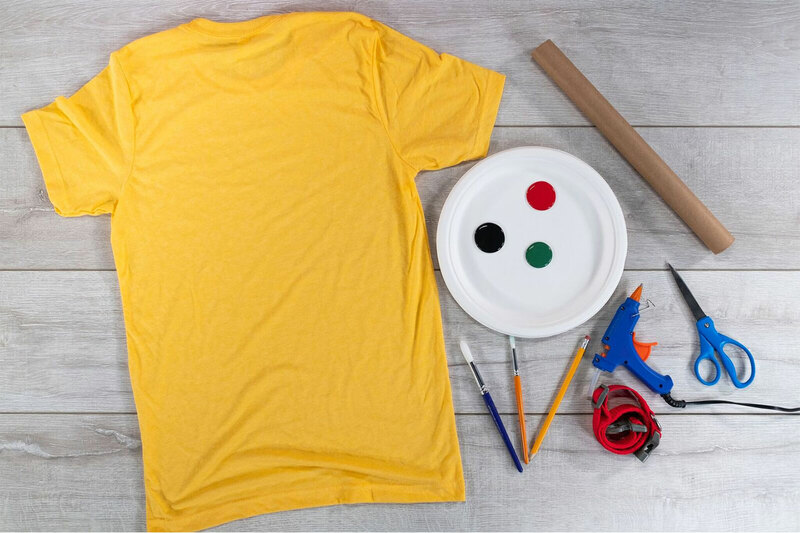 Don’t be spooked – the costume can be made in less than 20 minutes from start to finish, and there are only five steps. 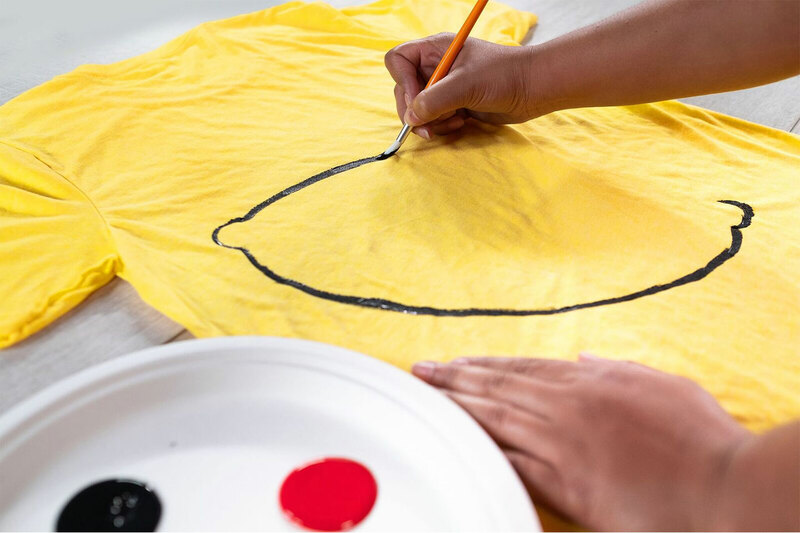 Trace outline of lemon (including leaf) on back of t-shirt with a pencil. Paint a leaf near the top of the lemon with green paint. Let paint dry. 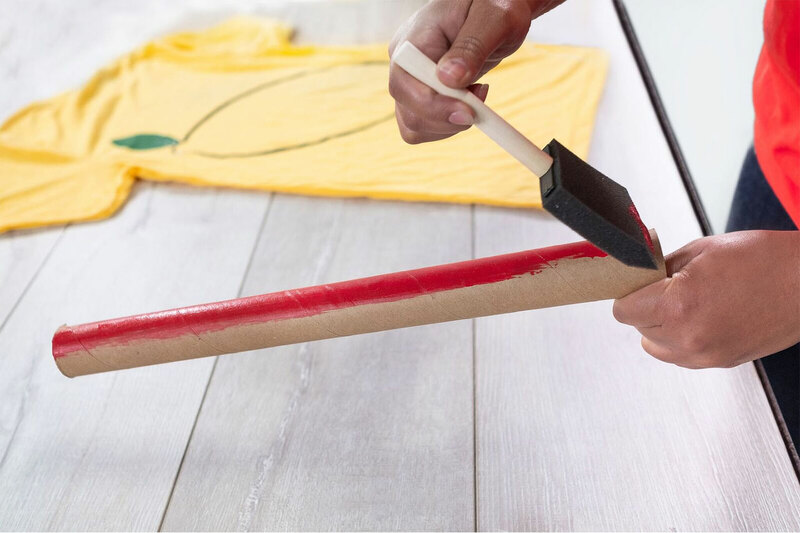 Paint cardboard tube red (to create a straw) and let dry. 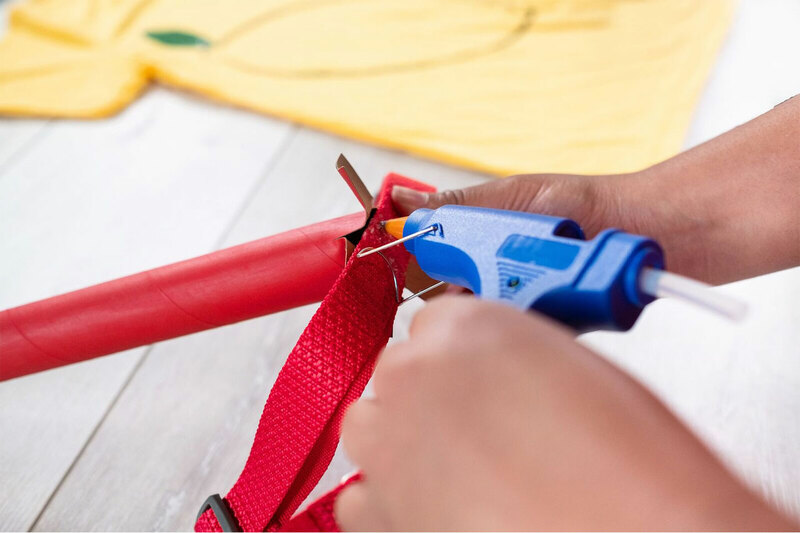 Using a hot glue gun, attach red tube to dog collar and let dry. Dress dog in lemon shirt and put on collar with straw. The costume pairs perfectly with our Chick-fil-A Sauce and Chick-fil-A logo costumes. Now that your pooch is ready for a night of tricks and treats, don’t forget to snap a few photos and tag us on Instagram or Twitter using the handle @chickfila. Happy Howl-oween!